So I really love writing compilers, procedural graphics routines and stuff like that. However, writing GUI is more of a hassle. That’s why everything is now properly simplified with OOP. This now implies that every type of drawing, from the level editor, multicolor images, sprites and character sets are now structured in such a way that the code is well-structured and just.. smooth. Multicolor only, but easy to fix. 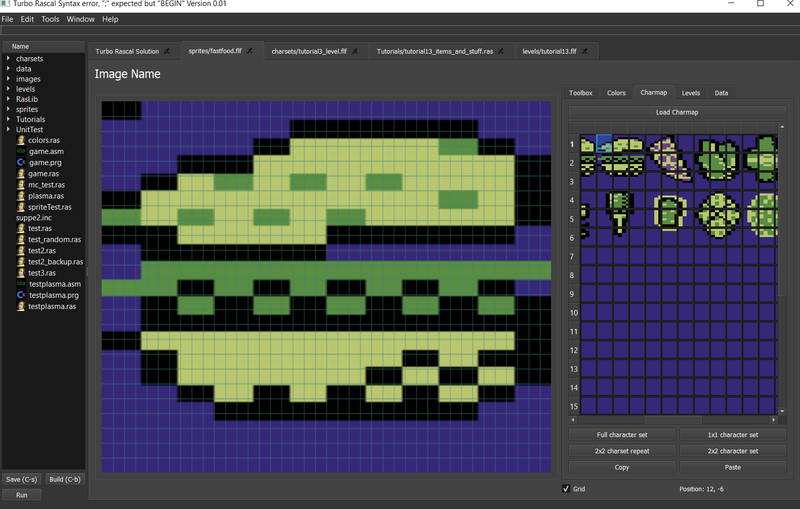 Also need to add an option to export only a select number of sprites. Previously, character sets were basically just multicolor images. Kinda annoying when drawing individual chars, especially when considering repeating tiles. You can now display individual chars, 2×2 blocks or 2×2 repeat blocks. 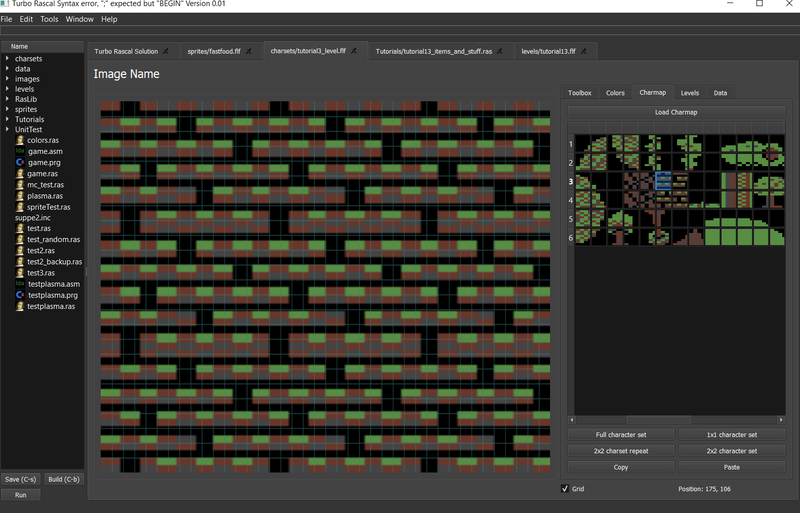 Example of a 3×3 grid of repeating tiles. In addition, you can copy and paste characters (and sprites). 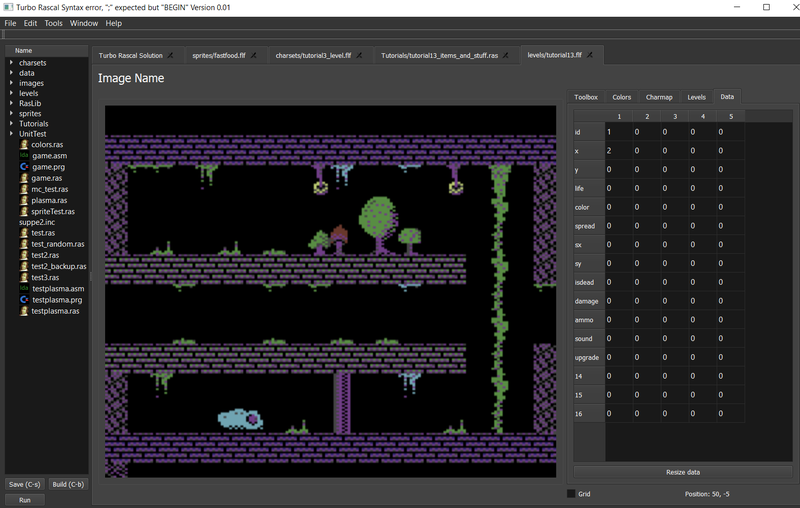 The level editor is greatly improved, now with better data input – including header titles (so you don’t have to remember what each row does). You can specify the data headers in the project file. Bugfixes in the project systems/recent projects. Tutorial game about 50% complete. Will be pretty hard.